It went very well, and the installer partitioned the hard drive without a problem. The only thing for a newbie is that the root partition must be set. I was not sure how to do that, but a right click on the partition set it as root. Once installed there is a first run wizard that starts the firewall and installs drivers for detected hardware. 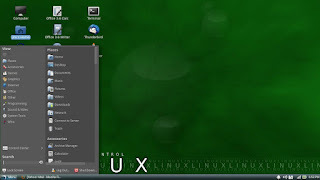 The default menu is Cardapio, but the classic GNOME menu is included and can be used. The wireless network was detected and connected to easily. My first minor problem was the Cardapio menu keep disappearing, and I liked it better than GNOME. After a post to the forum I decided to install the 64 bit system. I burnt SolusOS 64 bit to an USB drive using Win7 and LinuxLive USB creator. I like this program as it will install even non-supported Linux operating systems. It will also let you run the program in Windows with a Portable Virtual Box. It also has persistence so software can be downloaded and installed and data saved to the USB drive. I liked the 64 bit install better, it had slightly better look and seems to me more stable. My only problem was that PlayOnLinux did not have the 32 bit openGL libraries needed to run 32 bit .exe programs for some NVIDIA and my particular Intel graphics chip set. As a newbie, I was not sure how to download and install the correct drivers, so I installed Wine Tricks. Now I was able to install and run Quicken and Poker Stars running on Wine. I could install 64 bit programs on PlayOnLinux. Solus is lightweight, fast, very professional looking and easy to use. It will work good for a newbie or an old hand. It uses the Debian repositories and .deb files, so there is a lot of good software. Libre Office, Thunderbird and Firefox are default. For a very young distro Solus has very few bugs. If you want a stable Debian based distro capable of running modern software and a very good forum, that the developer actually answers some forum questions and asks for your ideas, give Solus a try. I don't think you will be disappointed. To read more: another review of Solus OS 1.2. Eveline. Update 28.12.2013: Solus OS is discontinued. The links to their web site removed. Thanks to Jymm, Ikey, not to me. Although, stay tuned! Another review is coming! How is that a review? Well, a note of appreciation, then! @Anonymous: I haven't read anything from you yet. Please don't criticise if you can't do better. Apart from Solus, there are some others: Pinguy and Crunchbang. Who will decide which one is better? Not me, I am sure. 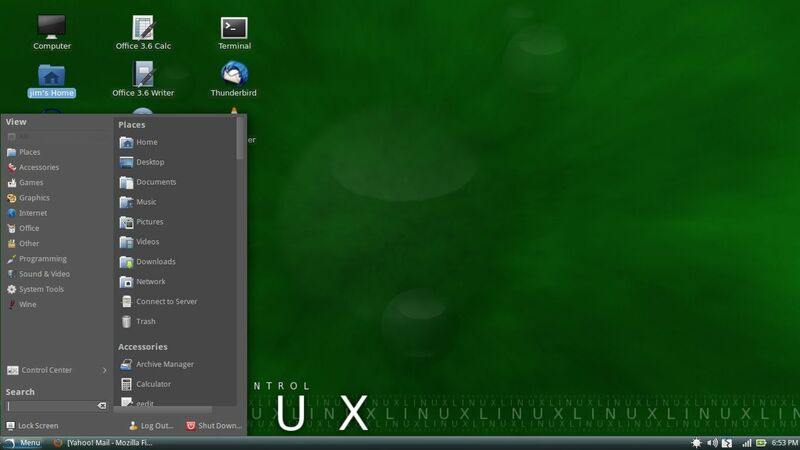 There are Russian distros too, and I wrote about them: Agilia Linux, Simply Linux, ALT Linux.